Dalmane (Flurazepam Hydrochloride) is used to treat certain sleep problem called insomnia. This medication may help you fall asleep faster, stay asleep longer, and lessen how often you wake up during the night. This will help you get a better night’s rest. How does Dalmane (Flurazepam Hydrochloride) work? Dalmane (Flurazepam Hydrochloride) works by acting on receptors in the brain called GABA receptors. This causes the release of a neurotransmitter called GABA in the brain. Neurotransmitters are chemicals that are stored in nerve cells in the brain and nervous system. They are involved in transmitting messages between the nerve cells. GABA is a neurotransmitter that acts as a natural ‘nerve-calming’ agent. It helps keep the nerve activity in the brain in balance and is involved in inducing sleepiness, reducing anxiety and relaxing muscles. As this medication increases the activity of GABA in the brain, it increases its calming effect and results in sleepiness. It also decreases anxiety and it relaxes the muscles. Why use Dalmane (Flurazepam Hydrochloride)? Dalmane Capsule contains Flurazepam Hydrochloride as an active ingredient. It is a type of medicine known as a benzodiazepine. This medication belongs to the class of drugs called sedative-hypnotics. This is available as capsules containing 15mg or 30mg of Flurazepam Hydrochloride for oral administration. The Food and Drug Administration (FDA) has approved this treatment. How to use Dalmane (Flurazepam Hydrochloride)? 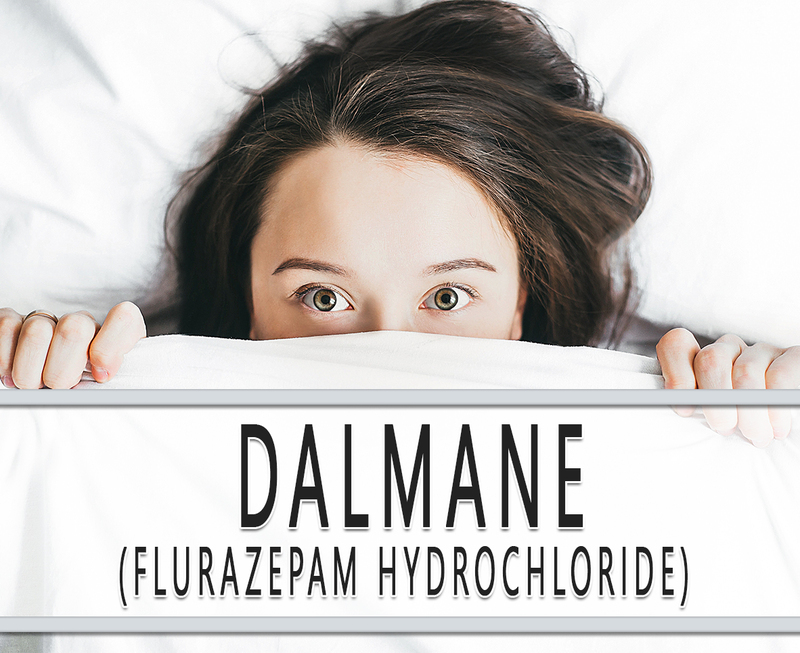 Dalmane (Flurazepam Hydrochloride) is usually taken just before you get into bed. You may take it with or without food by mouth. The recommended dosage is based on your condition, age, and response. This should not be taken for longer than 7 to 10 consecutive days. It is important to take this medication exactly as prescribed. Do not exceed the given dosage. What are the side-effects of Dalmane (Flurazepam Hydrochloride)? Before using this medication, tell your doctor if you have any allergies. Tell also to your doctor if you have any medical history or current treatments. Consult your doctor if you are pregnant or breastfeeding women. Call for medical help if there is an allergic reaction or overdose.